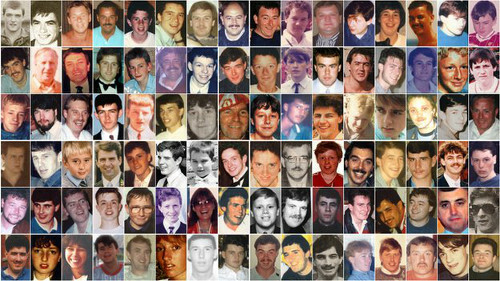 A man told the inquest over the Hillsborough disaster in which 96 Liverpool fans died that he had come to "reclaim my brother". Michael Kelly, aged 39 when he died, was not just a number amongst the 96 victims crushed to death on Leppings Lane, but a treasured big brother, the hearing was told. Stephen Kelly, his younger brother, told the inquest jury: "In death he became body number 72, also the last to be claimed by his family, yet another statistic. His name was Michael David Kelly. "I want to remove that sequence of numbers from him. I'm here today to reclaim my brother." Mr Kelly said, in a touching statement tinged with humour, that his brother was quiet and bookish and loved football. Their brotherly love ended on Saturdays though - he was an Everton fan, his brother followed the Reds, but both loved Georgie Best and they would go to Old Trafford just to watch him. Mr Kelly joined the navy at 19 and the brothers would write to each other. "He always promised me a parrot from Africa," Mr Kelly said to laughter. "And I was stupid enough to believe him and always did just what he said so he wouldn't forget the parrot." He would scan the Liverpool Echo for shipping news and said their mother, Joan, would never relax until he was home, "with a bag of dirty washing and some fags for her." "His only care was, 'Have I got a ticket for Saturday and is my Ma OK?' And probably in that order," he added. He said his brother, a father of one, struggled to find work in the 1980s after leaving the navy and travelled all over the country looking for jobs but always sent money home for his mother. Mr Kelly added: "As for Michael, he was a real man, a father, son, brother and friend. "In some ways I did not realise how close we were until he was gone and I still miss him. "Mike was not just one of the 96, he was not just body 72, he was our Mike. Much loved and much missed." The inquest, held before a jury in Warrington, Cheshire, is hearing a succession of "pen portraits" as each bereaved family gives brief statements about the loved ones they lost in the 1989 tragedy. Gary Church, 19, grew up in Seaforth, Liverpool, the youngest of four, a Cub Scout and choirboy who loved kicking a ball around with mates, his sister Karen Staniford said. He grew up but was still a "big kid", worked as a joiner and played football for his local pub team. "It's hard to put into words just how much Gary is loved and missed each day," Ms Staniford said. Paul Hewitson, 26, from Crosby, Liverpool, brought much fun, love and laughter to his family, his sister Tracey Phelan said. He was the apple of his mother Susie's eye, the "light of her life" and she never recovered from his death. Ms Phelan said: "On April 15, 1989, we not only lost a wonderful brother, we also lost a mother. "Eighteen years later to the day she too passed away." Peter Harrison, 15, from Page Moss, Liverpool, was just a teenager but stood 6ft 4ins tall and was adored by his large extended family, his mother Patricia Harrison told the court in a statement. Before he died he had planned to go and live with his uncle Michael in Jersey for a better life but still visit home to see family and watch his beloved Reds. "Something died in the family when Peter died," Mrs Harrison said. "Peter told me he loved me every day and we loved and worshipped him." Graham Roberts, 24, from Wallasey, was about to move into a new home with his fiancee with their wedding booked 12 months later. 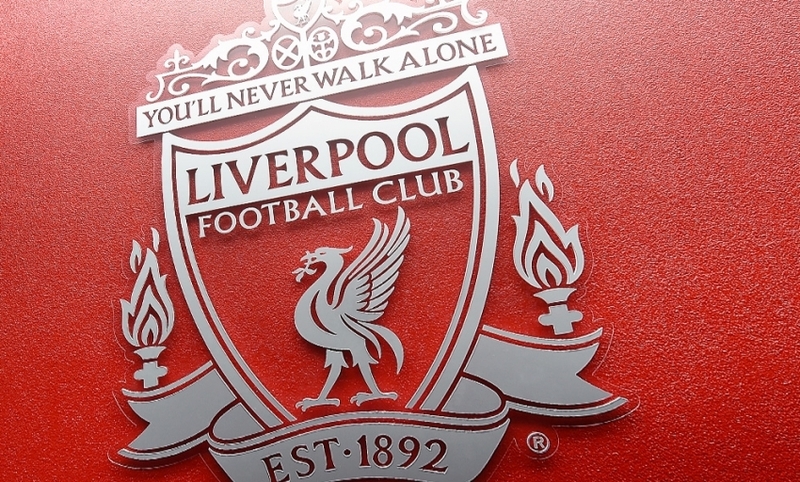 A lifelong Liverpool fan, the British Gas engineering supervisor, his sister Sue Roberts said, had much to live for. She added: "Both my parents are now re-united with their beloved son, which sadly, since his death, was all they ever wanted." James Aspinall, 18, from Huyton, was the eldest of five children to father James and mother Margaret - one who led the campaign for new inquests. A shipping clerk in Liverpool, he went to the game with his friend Graham Wright, the two were altar boys together, and both were killed. David Aspinall, his brother, said: "A darkness fell over our family on the 15th of April, 1989 and it is only being here now, being allowed to describe what a decent human being James was, that it's finally given our family a shard of light into that darkness." Paul Murray got tickets for the game for his 14th birthday - just three days before his death at Hillsborough. When they came in the post he leapt into the air shouting "This is the best day of my life!" his mother Edna told the inquest. The church choirboy from Stoke-on-Trent supported the Reds because his grandfather was a Liverpudlian. His old schools have named their football competitions in his honour. Mrs Murray added: "Paul often said, 'I want to be famous' and in a strange way his wish was granted in a small part of Stoke-on-Trent." Kevin Tyrrell, 15, from Runcorn was a football-mad teenager, his father Frank Tyrrell said in a statement read by the boy's uncle, Gerard. He was having pro trials for Tranmere Rovers FC and played in their youth team. Hillsborough was his first away game and though his mother Marge was nervous about him going, he told her he would be OK and "he wasn't a baby." His father added: "In the early hours of 16th April (1989), after identifying Kevin, as I went to touch my son I was told that I couldn't as he now belonged to the coroner. "He didn't. He belonged to me and my wife and he was Gary and Donna's brother and to his aunties, uncles, cousins and friends he was Tizzer." The daughter of Henry Burke, 47, told the jury in tears how she wished she could have held his hand when he was lying on the pitch, "like he had held my hand through my life". Christine Burke said the father-of-three, a builder from Liverpool, was "old school" and they were brought up to have manners and respect for others. From a family of 10 himself he used to say he could not wait to have grandchildren once his own children had grown up. Ms Burke said a week before his death he looked sad and she had hugged him and said: "I know I don't tell you this often but I really love you dad," and he burst into tears. She added: "He was always there for us to protect us, guide us and advise us. "I wanted just that one time to be there for him when he was lying on that pitch on his own to hold his hand like he held my hand through my life and we weren't, none of his family were..."
Philip Steele, 15, from Southport, had gone to the match with his father Les, who introduced him and his brother Paul to following Liverpool. His mother Dolores Steele, said her husband, now deceased, never came to terms with the fact that he was at Hillsborough but was not able to save his son. She added: "My first thought each morning is of Philip as well as the last thought at night. "When I think of our lovely son his laughter rings in my ears." Peter Burkett, 24, from Birkenhead, was a kind and gentle young man, his sister Lesley Roberts said. Her brother, who worked for Royal Life Insurance in Liverpool, had walked her down the aisle on her wedding day five months before he died. She added: "When he smiled it warmed your body through to your soul." David Benson, 22, was a twin to brother Paul, and working as a rep for a timber company when he died. Mr Benson, from Warrington, was also a young father at the time of his death and if he had lived would now be a grandfather through his daughter Kirsty's children. Gloria Benson, his mother added: "To this day David is sorely missed." At the end of the hearing the coroner, Lord Justice Goldring, addressing the jury said: "It's been both very upsetting and yet an uplifting day, has it not?"